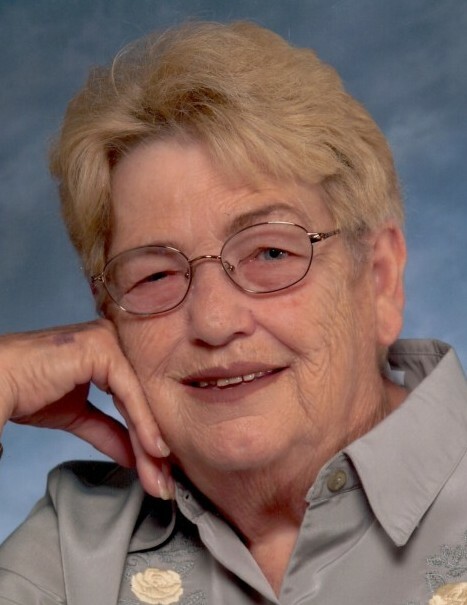 Alger “Loretta” Quinn, 79, of Greentown, passed away Tuesday morning April 9, 2019, at her home. She was born September 3, 1939, in Silver Point, Tennessee, to the late Roscoe Gambrell & Minnie Bell (Denny). She moved to Indiana in the 1950's and met her beloved husband Frank Quinn. They were married for 49 years and lived in Greentown most of those years. She had many jobs over the years but none she enjoyed more than owning and running her own business. She was a member of In His Image Baptist Church where she loved to serve meals to others. She was also a member of the VFW Women’s Auxiliary in Peru. She loved to fish, can vegetables out of her garden and spend time with her family. She was always the life of any get together and loved to play tricks on people. All who knew her loved her deeply. She will be greatly missed. In addition to her husband Frank, she is survived by her daughters, Vicki Singleton of Greentown, Sherry (Rex) Ringeisen of Amboy, and Lora (Kevin) Barnett of Raleigh, North Carolina; sisters, Henrietta Hall of Logansport and Juanita Hufford of El Doredo, Kansas; 12 grandchildren, 21 great-grandchildren, 4 great-great-grandchildren, and several nieces and nephews. She was preceded in death by her parents; five brothers; six sisters; and two grandsons. Funeral services for Loretta will be Saturday at 1:00 p.m. at In His Image Church, 2940 E. 50 N. Kokomo, with Pastor Brad Swain officiating. Burial will follow the service in Greenlawn Cemetery, Greentown. Visitation for family and friends will be from 11:00 a.m. until time of service at the church. Hasler & Stout Funeral Home, 112 E. Main St. Greentown, assisted the family with arrangements. Online condolences may be made to www.hasler-stout.com.